Tress Walmsley was appointed as the InterGrain CEO in August 2012. Having joined the business at inception, Tress has played an integral role in governance, developing operating systems and building the company’s commercial platform. Tress has over 15 years of agribusiness experience, along the way gaining a wealth of knowledge in commercial plant breeding operations with a strong understanding of the technical drivers required for success in the grains industry. 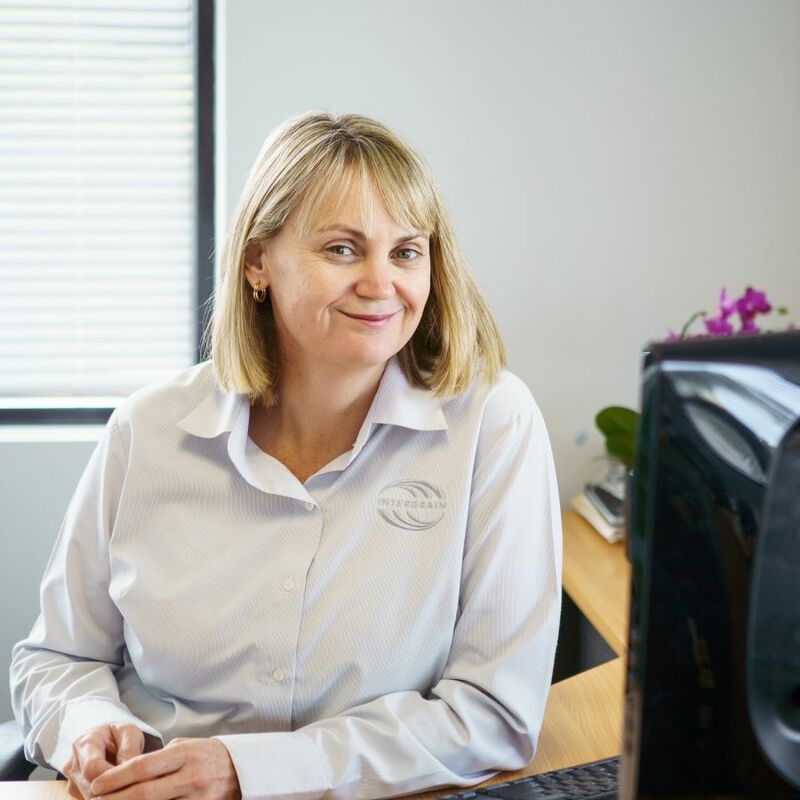 Prior to working for InterGrain, Tress spent over ten years with DAFWA in a variety of roles including grains commercialisation officer and TOPCROP State Coordinator. Tress is a member of Barley Australia, Wheat Classification Council and the Grains Industry Association WA wheat committee. In 2015, Tress was the RIRDC Western Australian Rural Woman. Troy Keenan joined InterGrain as Chief Financial Officer in 2012. He is primarily responsible for the financial management of the company while also leading the operations and administrative functions. 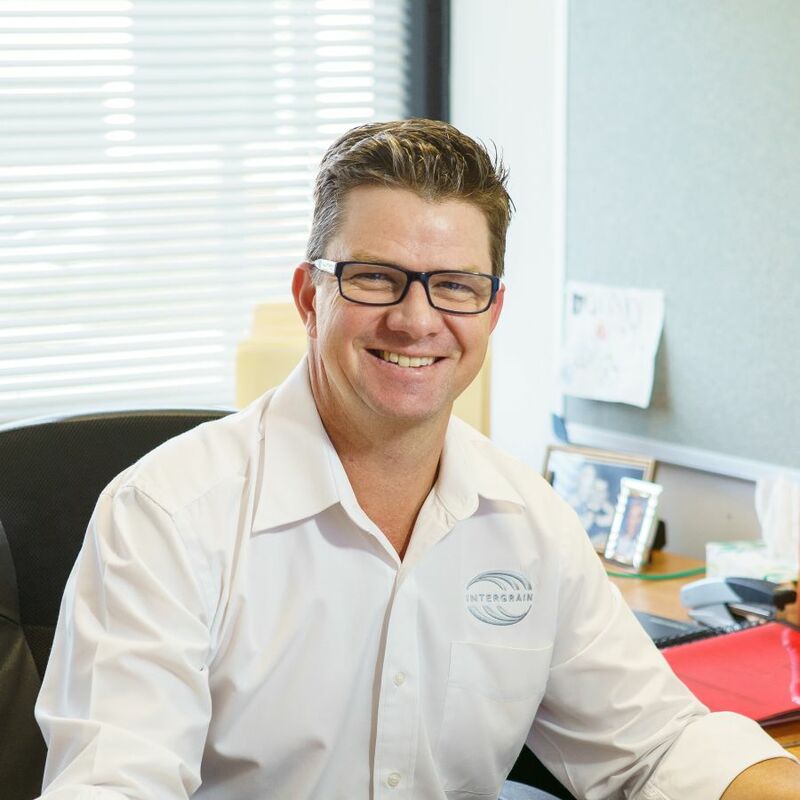 Prior to InterGrain, Troy had gained broad commercial experience in accounting, marketing and business development across diverse industries, including FMCG at Nestle Australia, within agriculture at United Farmer’s Co-operative, and IP commercialisation at RIAS Technologies. Troy is a graduate of the AICD and a member of CPA Australia. 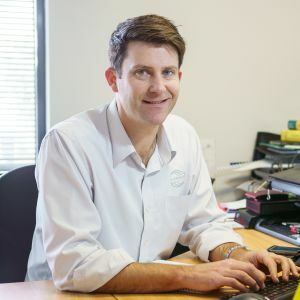 Prior to joining InterGrain, David worked for the Department of Primary Industries in Victoria both as a barley breeder (1992 – 2006) and a cereal research scientist (2008 – 2010) based at Horsham. David also spent a period of time (2006 – 2008) working as a research manager with the Birchip Cropping Group. David’s most previous role was in the management of the DPI cereal genetics group at Horsham where his main research interests were the genetics of physiological traits influencing barley’s adaptation to stress environments. His other responsibilities included the studies on the genetics and utilisation of primary synthetic wheats in wheat germplasm improvement and the evaluation of transgenic wheats for drought tolerance. David has a B. Ag. Sc (Hons) degree from the University of Adelaide. Hannah is the early-generation barley breeder at InterGrain, having joined the company upon the completion of her research in 2017. Hannah holds a PhD in barley genetics from the University of Queensland, as well as an Honours degree in Plant Science from the Australian National University in collaboration with CSIRO. Her research focused on improved understanding of the genetics controlling the barley root system, as well as the potential role of roots in improved yield stability under water-limited conditions. In her role at InterGrain, Hannah focuses predominately on the early stages of variety development, from crossing through to the generation of almost genetically fixed lines. In addition, she engages with researchers throughout Australia and across the globe to incorporate new technology and up-to-date research into InterGrain’s barley breeding program. Prior to joining InterGrain, Dan worked at the International Maize and Wheat Improvement Center (CIMMYT), based in Mexico. During his time (2008 – 2010) at the institute he focused on wheat physiology and was the lead investigator in a GCP funded project targeting the genetic dissection of drought and heat adaptive mechanisms in bread and durum wheat. Previous to this, he completed a post-doctoral fellowship at CSIRO, Canberra, where he was the durum pre-breeder (2006 – 2008). In his role, he focused on the integration of drought tolerance traits into locally adapted germplasm. 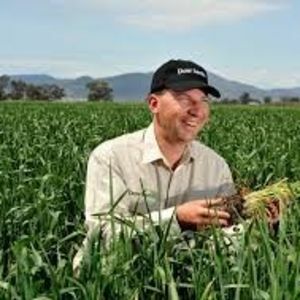 Dan has a Bachelor of Agricultural Science (1st class Hons) and a PhD in molecular genetics and plant breeding from the University of Western Australia. Dr Allan Rattey is the national early generation wheat breeder at InterGrain. Before joining the company in 2018, Allan worked with Dow AgroSciences as the lead wheat breeder in Australia, where he oversaw the company’s national plant breeding structure and science. He was also accountable for Dow’s Southern Breeding Node – The Australian wheat breeding program. As a wheat breeder Allan has actively pursued his keen interest in leveraging technology applied in global crops, including corn and soybeans, and successfully implemented several synergistic strategies within Australian wheat breeding. Allan has also contributed significantly to local research, particularly with his involvement in sponsored genomic research at AVR. 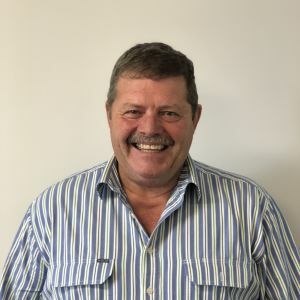 Prior to joining Dow, Allan worked with CSIRO as the national gateway breeder and trait pre-breeder, and has also spent time at BSES as a sugarcane breeder in Northern Queensland. Allan holds a Bachelor of Science, and a PhD in Quantitative Genetics from the University of Queensland. 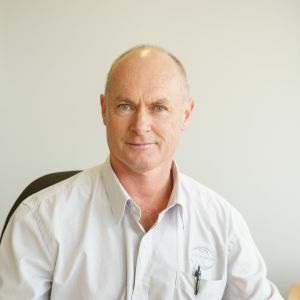 Ian Brown joined the InterGrain board in June 2014. Ian is a successful entrepreneur with global commercial experience across industries. He has taken various early-stage science and technology projects and new business model projects and created successful businesses. Ian is an Entrepreneur-in-Residence at INSEAD and a Facilitator of the CSIRO ON Accelerate program. He has an MBA and is an FAICD. Ian is also a professional non-executive director. He is currently Chairman of REX Ortho (orthopaedic surgical devices) and Omni Innovation (medical nutrition products), Non-executive Director of InterGrain (grain seed products), Chairman of Perth Angels (angel investor group), Deputy Chairman of Activ Foundation (disability services group) and Strategic Advisor to the Energy Pipelines Collaborative Research Centre. Ian has lived and worked in London, Milan, Gothenburg, Melbourne and Perth and has worked on significant projects in the USA, Asia and Japan. Julie Cox has expertise in finance, mergers & acquisitions and strategy and a passion for building sustainable business models that serve stakeholders and respond to market opportunities. She has over 35 years executive experience, most recently as General Manager – Business Development for Craig Mostyn Group for six years. The Group is a major agribusiness with operations across Australia and she was responsible for the mergers & acquisitions strategy and execution that expanded into new product areas and doubled the earnings of the group during that period. Prior to 2012, Julie had a 30 year career with PricewaterhouseCoopers specialising in M&A, business valuation, financial evaluation and strategy. She worked across a range of sectors including agriculture and food production, financial services and resources. Julie is now a non-executive director and consultant. She served on the Board of Activ Foundation Inc for 4 years until May 2018 and chaired its audit and risk committee. 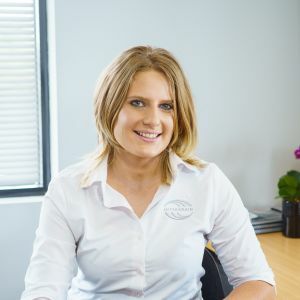 Julie is currently on the board of Western Australian Meat Industry Authority and 360 Health and Community Limited. She is a Fellow of the Institute of Chartered Accountants in Australia and a member of the Australian Institute of Company Directors. Chris Bazley joined the InterGrain board in December 2017, bringing with him a plethora of experience as a former senior executive in the Australian grains industry, and more recently, an accomplished board career. Chris has gone on to hold multiple board positions. He has served as a board member on the University of Queensland Gatton Advisory Committee, is Chairman of the Board at Clifton Community Health Services, and serves on the University of Southern Queensland Council, where he is Chairman of the Finance and Facilities Committee, as well as serving on the Member Audit, Chancellor’s, and Remuneration Committees. Chris is a Member of the Australian Institute of Company Directors, and is an inaugural trustee at Queensland Crop Research Limited. Bernard Meadley was appointed to the InterGrain board in February 2014 following the retirement of inaugural Chairman Dale Baker. 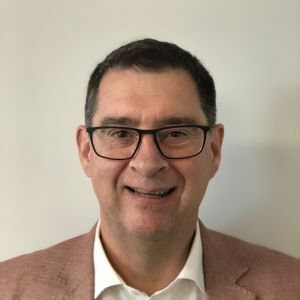 Bernard brings a diverse range of commercial skills to the Board, he is currently the Deputy Chief Executive Officer and Company Secretary and Group Chief Financial Officer of CropLife Australia Limited. 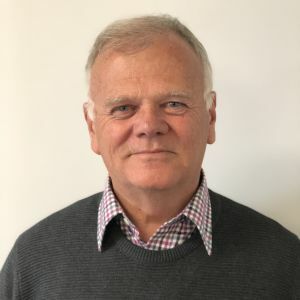 As part of Bernard’s role at CropLife he is also the Company Secretary and Chief Financial Officer for the company’s subsidiary, Agsafe Limited, and to Animal Medicines Australia Limited. Prior to CropLife, Bernard worked in a wide range of industries including medical, automotive, telecommunications, regional television and radio, holding senior management positions within each. 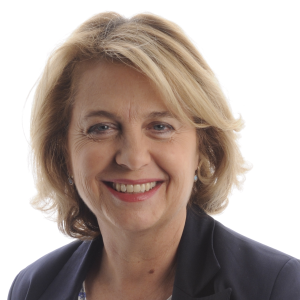 Bernard has also held directorships on the Agrifood Awareness Australia (Agricultural Biotechnology Council of Australia), Free Television Australia and Regional Television Australia boards. Bernard holds a Bachelor of Economics and Legal Studies from La Trobe University, an Associate Graduate Diploma in Business and Technology.